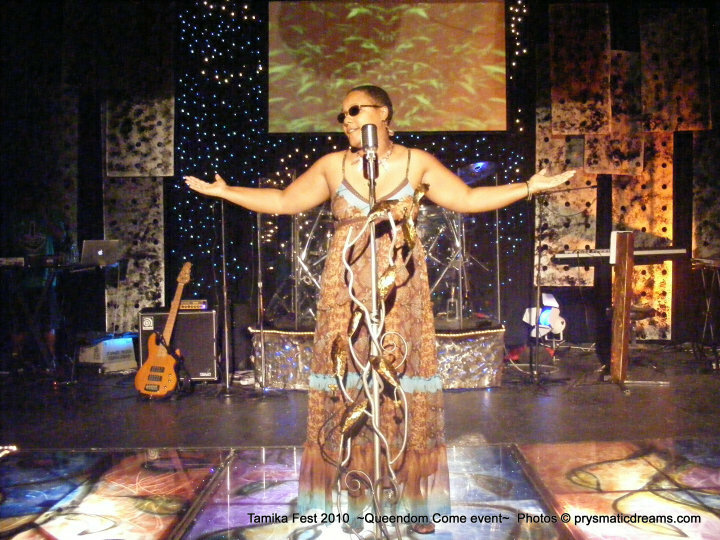 for her single – "A Sinner’s Prayer"
* Voted Best Spoken Word CD - 2009 - "END GAME"
Tribal Raine is a multi-recorded and published artist whose works have been used as teaching tools for poetry college courses. She has performed on stages nationwide the nation with legends and leaders of the spoken word realm such as: NJ’s Poet Laureate - Amiri Baraka, Abiodune Oyewole of The Last Poets, Emmy & Peabody award winner – Georgia Me, Abyss, Tommy Bottoms, Suni Patterson, Malcolm Jamal Warner, Nappy Roots, Queen Sheba, Black Ice, Autumn Ashante, and more. She is an activist, an "actionist", a revolutionary and the author of 10 Books. She is a wife, a mother, a sister and a poet in all aspects…. Never one to to satisfied sitting by with idle hands, she added jewelry design to her already creative talents in early 2011. 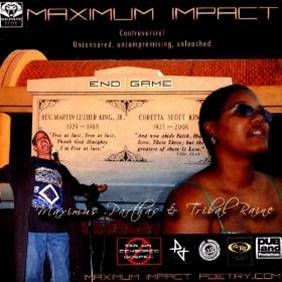 Born in Newark, New Jersey, she currently resides in Columbia, SC with her Husband & Partner, Spoken Word artist Max Parthas and 2 of their six children.